Up, up and (hopefully not) AWAY!!! Happy Friday, Happy Campers, and an early "Merry Christmas" to all of you! We're in preparation for our post-Christmas expedition to Asheville, NC, but we have a little something to hold your interest until we get back with stories and pictures! Our newest video over on the YouTube channel is a little bit of something we put together with footage we shot while trying out our new drone last month. We had fun figuring out the first steps of getting into aerial photography... but did we crash it? Mission 003 (Part 2) - Can You Get Lost in the Woods in a State Park...? Jessie here for a change! We have successfully camped at Santee State Park! We also did the required family Thanksgiving get-together, and managed to get both done in the same trip! This "mission" actually resulted in so much activity that we couldn't fit it into just one video record... at least not one that anybody would be willing to sit through! Check out our YouTube channel for the Mission Report of our arrival at the campground, as well as our Turkey-Day pig-out at (Smokey's) mom's house on Thanksgiving Day. Be sure to subscribe to the channel, too, so you won't miss out on the great places Smokey and I visit and explore! Great Camping Requires Great Preparation... or at least SOME Preparation! An empty camper refrigerator may possibly make for an awful camping trip. We certainly don't want to test that theory, so off to Wally-World we go! This video was primarily intended as a test run for our new GoPro Hero 7 Black action camera, but the resulting footage was entertaining enough (at least it was to us) that we want you to see just how unplanned and off-the-cuff our trip preparation can sometimes be. Give it a look-see over at the YouTube channel! I couldn't stand it any longer! We've only been on two camping adventures so far and have had lots of fun taking photos and video, but I've already felt that I'm leaving behind some beautiful images by not having one of those fancy-schmancy drones so many YouTubers have and use so wonderfully. 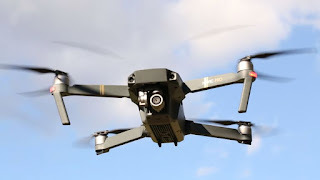 Well, the internet is good for lots of things, among the best being finding "deals," and Lo and Behold, a little bit of Google-Fu leads me to a sale of the previous generation Mavic Pro done! 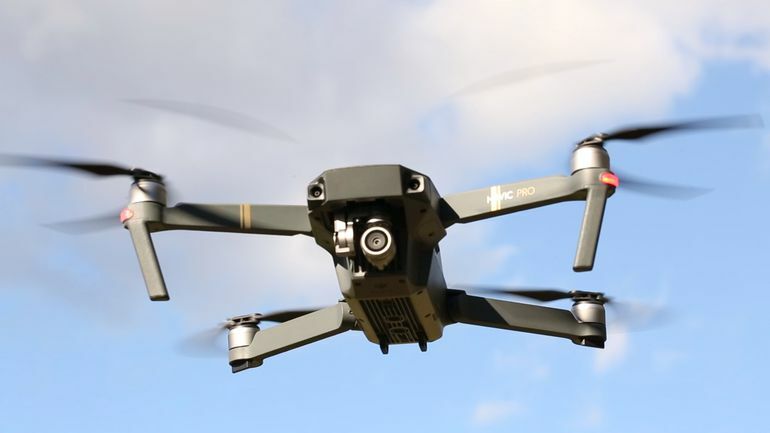 Since there's a new model of the Mavic Pro currently on the market, the previous generation is no longer in production, and retailers are clearing out their stock. One mouse-click and credit-card transaction later, BOOM!, we have a drone! I suppose this post qualifies as a "tease," since I'm not going to add any "WOW" photos taken from 400 feet in the air just yet, but we did make a short video of our first flight. Keep your eyes open for that over on the YouTube channel, probably available sometime in December after we get back from our Thanksgiving trip to Santee State Park... which is tomorrow! Until then, you all keep Livin' and Learnin'! Well, we promised ourselves that we were going to wait quite some time before we began uploading videos to our YouTube channel, but after spending an entire weekend editing our SECOND video, I just couldn't stand the thought of the FIRST video still remaining unseen. Thus, here you are - our video "Mission Report" of our first RV adventure from last month. As it helps increase viewership of the channel, I do hope all of you will hit Thumbs-Up on this video, and all subsequent ones, and Subscribe so you'll get a cyber-nudge when new videos appear there. It goes without saying that we also look forward to your feedback, both there and here, so comment away! But you know what? I don't care! Ever since we bought this camper, we've been chomping at the bit to use it, and frustrated by how we're preventing from running off into the wild with it at the drop of a hat because of our "responsibilities." Weather will not stop us (even though Hurricane Michael proved to me that it WILL stop the U.S. Postal Service, despite what their motto says...), and even if we're trapped inside the Falcon for thirty-six hours, we will Live 'n' Learn about how to make the most of that situation. Besides, we've spend thirty-six hours and more cooped up in places before and enjoyed ourselves thoroughly, but since this is a family-friendly blog, I'll skip the details... (insert lascivious wink here). Photos and reports to come once we're back! Check back in soon! 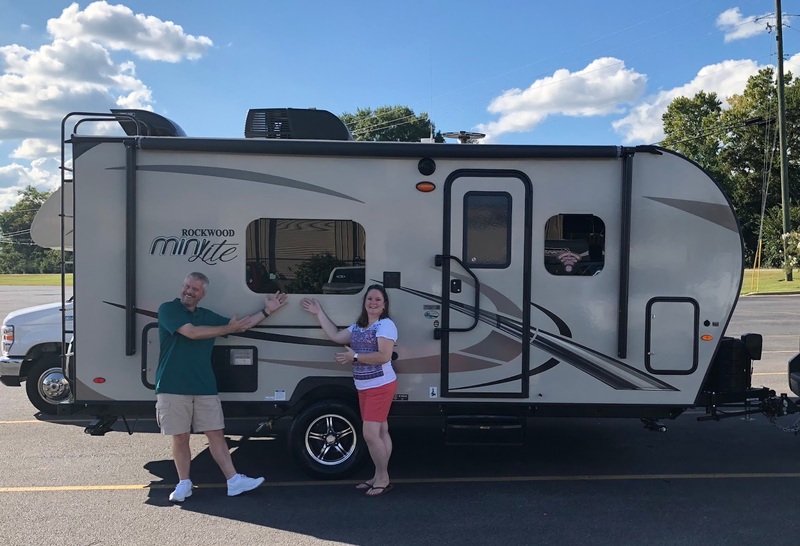 One of the things we learned during the buying process is that RV dealers have to transfer legal title of the RV in question to the new owner within forty-five days of the date of purchase, and that a new buyer cannot obtain a license tag for his new RV until that title transfer is done. Of course, this process is complicated (a little) if the buyer resides in a state other than the state where he purchased the camper. Naively, I went to my local DMV office about two weeks after we bought our "Aluminum Falcon" to get a tag for it, where I was told that Camping World in Anniston, Alabama (yes, I know, I know - those two words can be subject for an entirely separate blog post/rant, but we won't do that just now) was yet to submit the title transfer. I checked again two weeks later - still no title transfer. I made a call to the sales rep that sold us the camper thirty days after our purchase to ask about all of this, and he seemed perplexed that the transfer hadn't yet been done, but promised to look into it. Well, I'll give credit where credit is due, as on day forty-three after purchase, I went to the DMV office a third time, and everything was finally in order. A mere ten dollars and fifteen minutes later, I walked out with the Falcon's tag, marking him as a South Carolina resident, just like his proud owners! Of course, under the heading "Nothing Can be Simple," the next thing we learn about RV-ing is that the license plate bracket assembly on our camper is all but useless, as it sits too flush to the rear wall to accept a screw or bolt of any length. 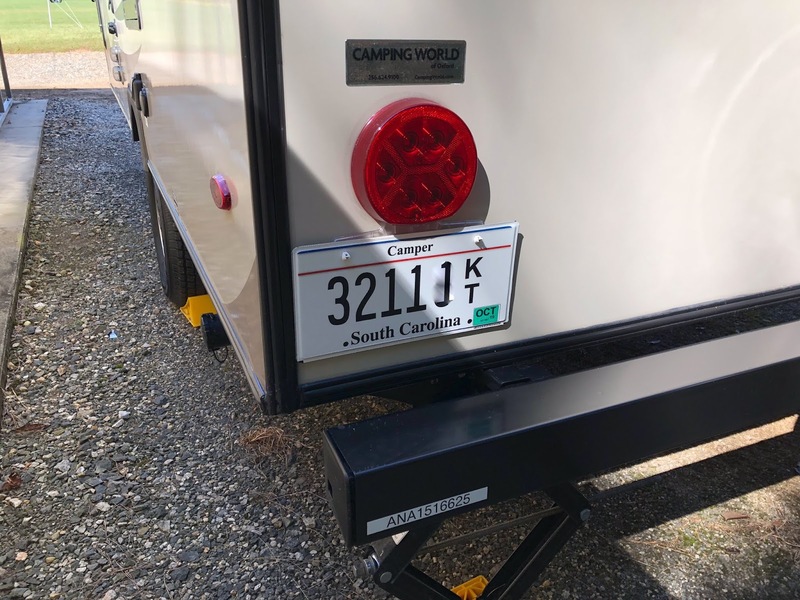 As a result, the new tag is zip-tied to the bracket for now (as was the dealer's tag - maybe they experienced the same frustration...) until we figure out a more secure and permanent solution. All that said, we've got the Falcon prepped for its next mission, to Paris Mountain State Park above Greenville, SC in a couple of weeks. Stay tuned for more! Hi! We're the Smoaks! Thanks for stumbling across our blog. Forgive the rawness, as this is without question a work-in-progress, and neither of us has any clue about the intricacies of blogging, like HTML editing and such. Have no fear, though, because until just a few months ago, we had no clue about the finer points of RV ownership, either, and we're quickly getting the hang of that! Hence our name for this blog, where we share how we have entered into this fantastic sub-culture and learned all kinds of new things by jumping in head-first and living through it. "Live 'n' Learn" is a phrase we have said to each other COUNTLESS times over the last six months, primarily as a way of calming each other down when we began to get frustrated with some new dilemma that arose as we searched for the RV that was perfect for us, or when towing it a long distance for the first time, or when trying to determine just why in the heck our refrigerator wouldn't get cold! We will not be "full-timers" at first, as A) we are not independently wealthy, B) we are not independently wealthy, and C) we are not independently wealthy. Yes, I know, I know - lots of folks do the full-time adventure-thing and are far from wealthy, but we are not (yet) at the point in our lives where we can cut ties with the working world, sell off our worldly possessions and flit from place to place. For the time being, we will be "weekenders," doing our best to get out once or twice a month, and explore some of the great camping opportunities in our neck of the woods. Maybe you'll find something about our travels interesting, and maybe some of the things we Live-n-Learn about will be new to you, too! Again, thanks for visiting us here, and please check back often to see what new things we've discovered, whether it's some beautiful new piece of nature we've explored or the solution to some technical snafu about RV ownership maybe you're yet to encounter. See you out on the road soon!